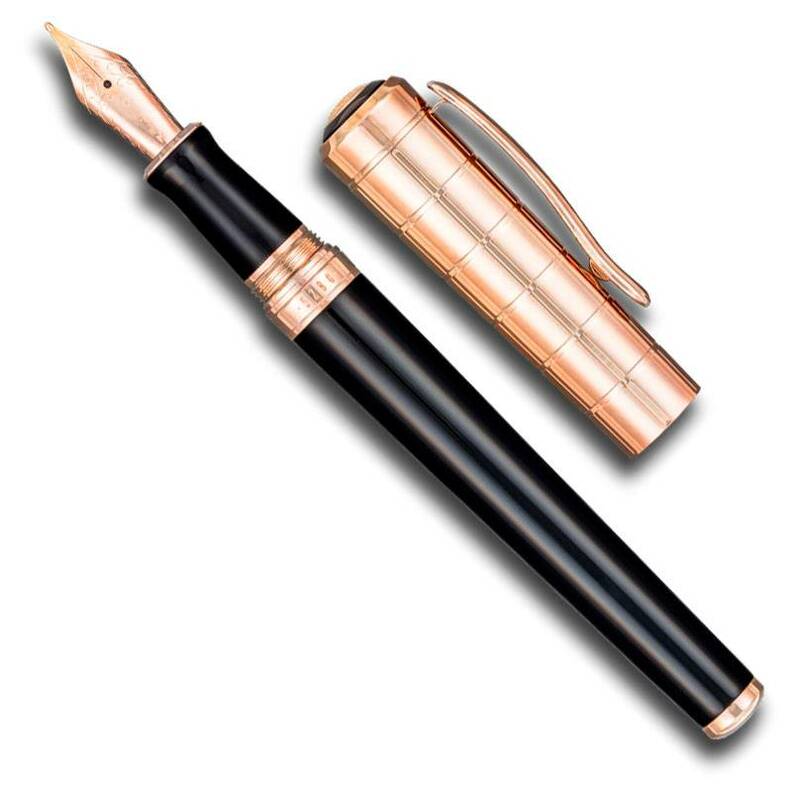 Choices in the 5280 Aspen fountain pens run from basic black with silver rhodium trim all the way up to 14k gold or 14k rose gold plated trim. There is even a matte black carbon fiber model for those in a durable frame of mind. The 14k gold plating even covers the cap and is then intricately etched with a herringbone pattern. The 14k rose gold plated cap has a deeply etched grid pattern. Select from a fine or medium point for the stainless steel nib which is then coated to match the pen's trim. Refill with the included converter and your bottled ink or order plenty of ink cartridges in a wealth of colors and two sizes shown below.